Why do people fly-tip and what can be done to prevent it? These are two burning questions that most councils across the country face. Peterborough is no different. The easiest and most obvious answer is 'because they are lazy'. As explanations go I think this is far too simple. 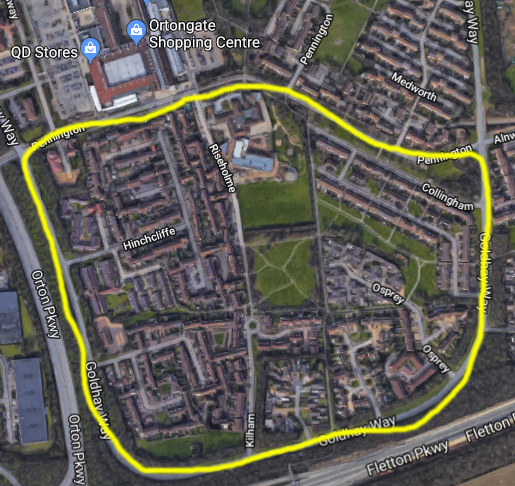 Perhaps people feel abandoned by local government and disenfranchised from society and have simply stopped caring about the state of the streets where they live. I see evidence that points to this all around the city. I'm sorry to say there are several examples of tenants and homeowners alike dumping rubbish immediately in front of their own homes in our communities. Of all the kinds of fly-tip that I see, this type makes me the most anguished. I want people to feel happy in their homes, not to turn them into rat-infested, eye sores that affect the quality of life of people who live near them. Some fly-tipping is done by residents who don't understand that leaving unwanted stuff on the pavement for the council to collect isn't how the systems works. Fixing this should be relatively easy through education and leaflets in various languages (in some countries leaving your rubbish on the pavement is completely acceptable). A lot of fly-tipping isn't done by residents at all, at least, not directly. Unlicensed waste carriers are known to knock on doors in Orton and offer to take away larger items of rubbish for a small charge. These unlicensed traders then illegally dump the rubbish on streets and in rural areas around Peterborough (in places without CCTV where they think they won't be caught). In the past two weeks alone there have been at least two instances where fly-tippers who don't live in Orton have come to Orton Goldhay for the sole purpose of fly-tipping. 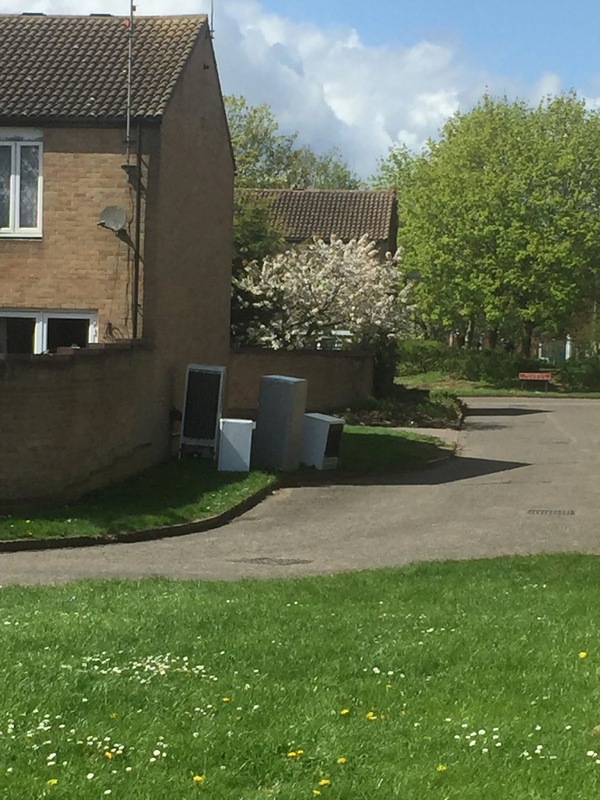 Four fly-tipped fridges. How did they get there? Read on. four fridges on a residential street in Orton Goldhay. 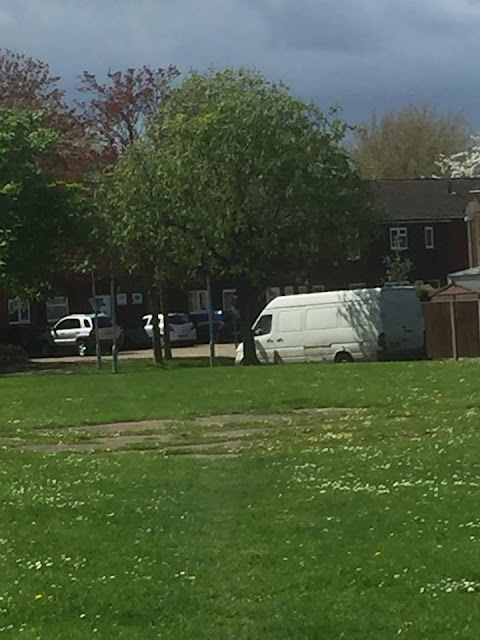 In one instance (see above), three men were seen getting out of a white van and dumping four fridges (one of them full of rotting food) on a street in Orton. 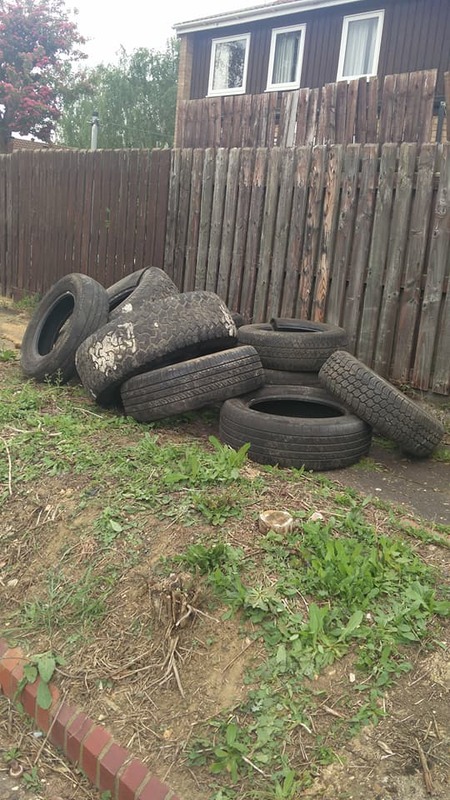 In another, a large quantity of tyres were dumped opposite a sheltered housing complex. It is highly likely that whoever these items belonged to did not imagine that the person they paid to take them to the recycling centre would dump them on our streets. A pile of tyres fly-tipped in Orton Goldhay. Did local residents do this? I don't think so. The final group of fly-tippers are those residents who do it deliberately because they think everyone else does it and that they won't get caught. Included in this group are the landlords who don't clear out the rubbish from their properties before allowing new tenants to live there. The people who move in are left with the responsibility of getting rid of the rubbish. Clearly this is not fair. Why is fly-tipping such a big problem today? The way we live has changed drastically since I was a child 40 years ago. Back then, we didn't have cheap, mass-produced furniture to the degree that we do today, and the standard of living was far lower. You would do all you could to look after your possessions because replacing them was costly. Furniture was built to last back then. It was expensive because it was well-made. You wouldn't dream of getting rid of a chest of drawers unless it was completely unusable. My dad made my childhood rabbit's hutch out of an old chest of drawers. My mum made me a pair of lurid green trousers out of a pair of curtains. My dad made my brother a go kart from off cuts of wood. My mum made me a hobby horse from the same material. That's what we did back then: we made the most of everything we had because we couldn't easily afford to buy new things. Add to this the great pressure we are all put under now to buy the newest and very latest thing. Holding onto something for a long time and getting the most use from it that we can is no longer 'fashionable'. We are all put under pressure (especially our children) to own the very latest model or to follow the very latest trend, which leads to enormous pressure to throw away things that have not come to the end of their useful lives. We need to acknowledge to ourselves that the way we live has created the fly-tipping epidemic. We buy too much new stuff and we don't look after the stuff we already have. The wartime culture of 'make do and mend' is entirely lost on us now. We are mass producing and buying more than we need and a lot of it is plastic. What we no longer want no one else wants either... or do they? 'Buy and Sell' pages on Facebook are doing a great deal to keep used goods in circulation and preventing them from becoming fly-tip. Here in Orton we have a fantastic group called 'Orton Sellers and Stuff' which was set up six years ago by local resident Sharon Bellamy. The group has nearly 3000 members. Here local people have created a secondary market, buying, selling and gifting unwanted goods to one another. Without Orton Sellers I think the problem of fly-tipping in Orton would be a great deal worse. 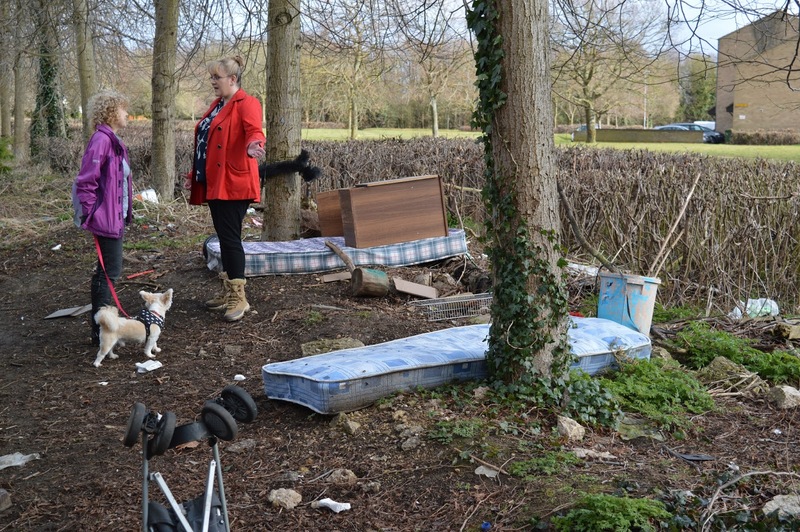 Without doubt, fly-tipping worsened when Peterborough City Council took the decision a few years ago to charge for the removal of unwanted large items from people's homes. The council needs to cover its costs by either increasing council tax or charging for certain services. 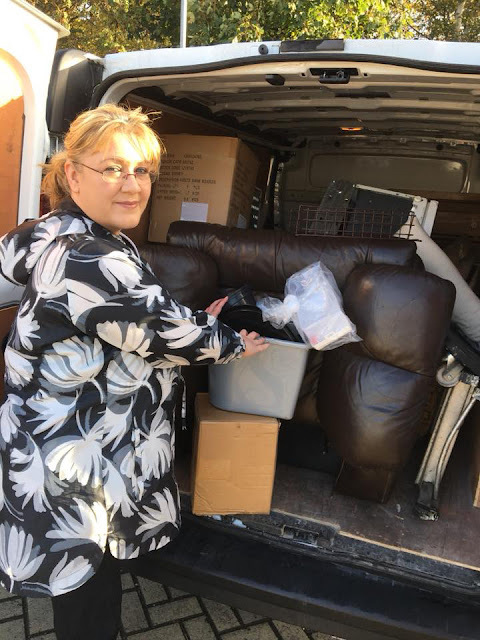 Some residents feel that it's right to charge for services that only some people use, such as the doorstep collections of bulky items and brown bin waste, services that the council does not have a statutory obligation to provide. However, doing so affects older and disabled people and people who don't have cars disproportionately and these are also the people who are less likely to be able to afford to pay the additional charges. So should we all pay a lot more more council tax and eradicate fly-tip from our streets or do we accept that people in less affluent areas will continue to live surrounded by rubbish? This is the question we're all struggling to answer. Does being elderly and isolated and on a low income and unable to drive or carry heavy items mean you have to pay to have your rubbish removed from your home, while someone fit and strong who can drive to the recycling centre does not have to pay? Why didn't the council's free doorstep collections trial work? A few months ago, Peterborough City Council re-introduced free doorstep collections for bulky waste as a time-limited trial. Unfortunately, this proved to be an expensive failure. While all the slots were taken up, the impact on fly-tipping was minimal, while the council claims it lost £40,000 in revenue by not charging for the collections. I haven't seen a breakdown of the figures for Orton Waterville, nor do I know the metrics the city council uses to measure success/failure. What I do know is that the city council made a rotten job of letting the right people know about the free collections. It's my belief that news of the trial only reached people who read the local newspaper and who already have the means to get their waste to the recycling centre. Very little was done to get the message out to the people who really needed the help and those most at risk of falling prey to fly-tippers. It did help people, it just didn't help the right people. I'm one of the Orton Waterville parish councillors who pioneered the introduction of bulky waste collection points here. These collections, which are free at point of use to Orton residents, happen for two hours on a Saturday morning every few months in the small car park behind the Orton Centre. The parish council has offered this popular service a number of times now. It is paid for via the parish council 'precept' which is a quantity of money raised via the council tax that we all pay to the city council. In effect, it is paid for by you. 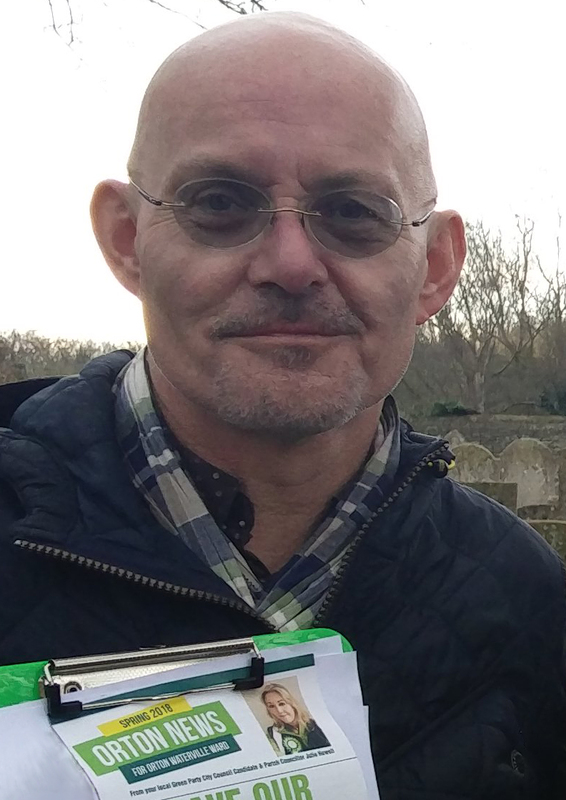 I produce a free newsletter to let residents know what I'm doing at their councillor. It is called 'Orton News' and it goes through every letter box in the ward. In 'Orton News' I always include details of the forthcoming free bulky waste collection points. In addition to this I invite any residents who need help getting their things to the static collection point to contact me and I will help them if I can. My partner and I hire a van (at our own expense) and invite older and disabled people who need help getting their large items to the collection point to contact me. Often, these residents tell me that they've had rogue traders at their door and one can only imagine how many people make use of their services because they can't easily make use of the free collection point. 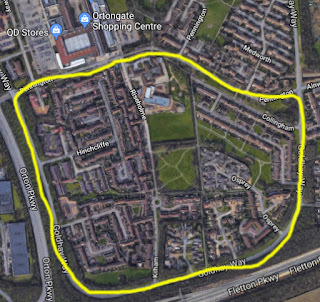 By leafleting all homes in the area and offering practical help to people who can't get their items to the collection point we are stopping rogue traders who fly-tip from doing so much business in Orton. I wish the council had taken this approach when advertising its trial of free doorstep collections. The information needs to reach the people who are vulnerable to approaches from rogue traders who fly-tip, not people who are quite capable of disposing of their rubbish in a responsible way. To be absolutely blunt, fly-tipping is linked to poverty and social exlusion and the council's trial would have been far more effective had it been focused on areas of higher social deprivation. Making it city-wide was a £40,000 mistake. Putting all this together I believe the council needs to do a piece of work to discover who is fly-tipping and why they do it. 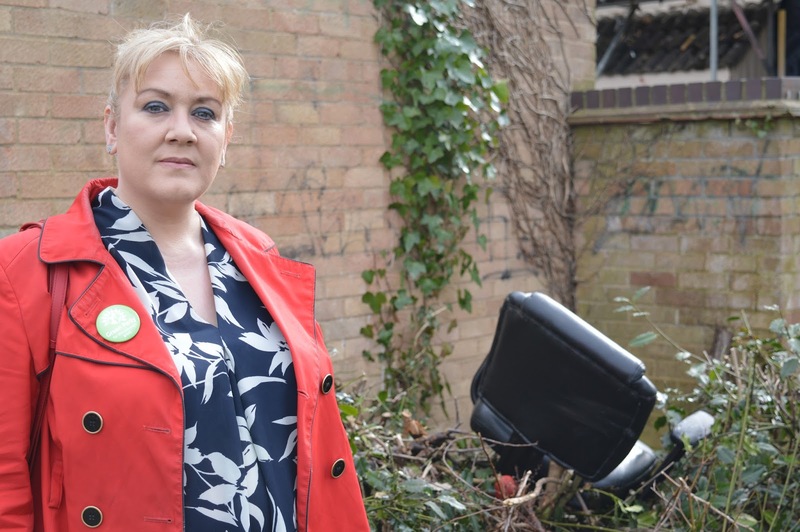 There is no doubt at all that doorstep collections and collection points are helping people to get rid of rubbish, but it seems that these measures are not helping to combat fly-tipping. What are we trying to do here? Help people or combat fly-tipping? If you ask me, both goals are equally important because our overarching aim should be happy, healthy people living in a happy, healthy environment. Free collections. The council could re-introduce FREE and unlimited collections from people's homes on a permanent as-it-is-needed OR regular, advertised basis. We have to understand that people want to be rid of large items when they want to be rid of them. Large items take up space in people's homes. We now need a from-home collection service that is both free and accessible. If one phone call results in large items being taken away it will drive rogue traders who fly-tip domestic waste out of business pretty quickly. Rogue traders. Get a better understanding of who is vulnerable to rogue traders who fly-tip and ensure that these people's needs are being met. 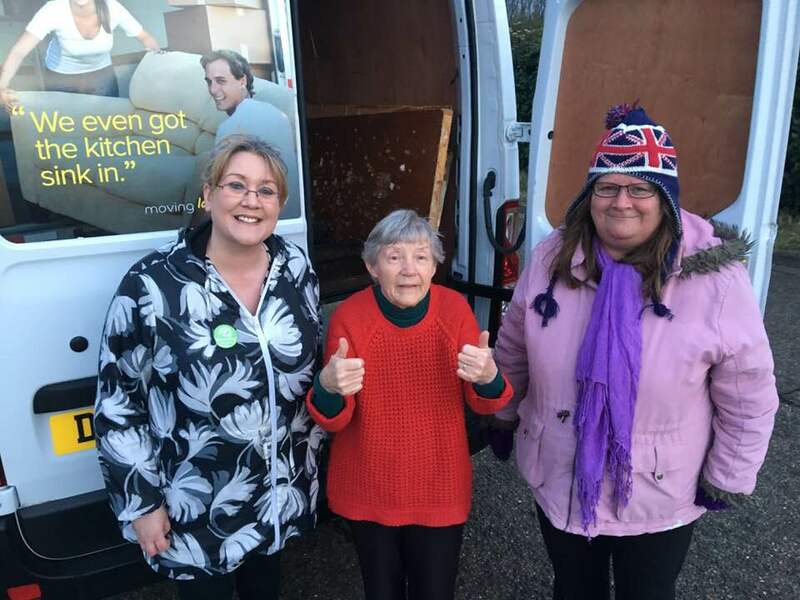 These are older people, disabled people, people who don't have access to transport to take items to the recycling centre or the money to pay the council to come an take items away. These people need information to enable them to do the right thing. Landlords (including housing associations). From the fly-tip I see, and the fly-tipping that is reported to me, it is obvious that much is as a result of short-term tenancies coming to an end. Far too often new tenants are moved into homes that have not been properly cleared out by the landlord or housing association. This situation leaves new tenants with the burden of responsibility for removing the rubbish (although it shouldn't) and if they don't have the money to pay the council to remove it nor the means to take it to the recycling centre then what is to happen to it? Landlords and housing associations must do more to prevent fly-tipping in our communities. Communicate. The council must invest resources in communicating with residents in a clear and friendly manner. Leaflets through doors will help an incredible amount but the message must be enabling and the language must not be threatening. 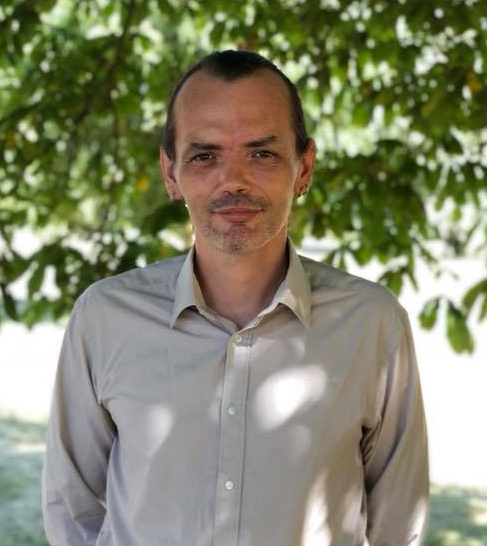 Many people don't like interacting with the council at all, so a charm offensive is needed to build trust between residents and Peterborough City Council once more. Community. Most people don't want fly-tip in their streets. Foster community champions in every street who will report fly-tipping as soon as it happens to ensure it is cleared away as quickly as possible. Fly-tipping should never be 'normal'. Make it universally unacceptable. Prosecute. I don't believe that people who are caught fly-tipping should go to prison as is this a further, chronic waste of taxpayer money. But I do believe that they should be fined as heavily as possible and their vehicles and driving licences should be confiscated. Unfortunately, the law in this area is very weak and relies upon witness statements. 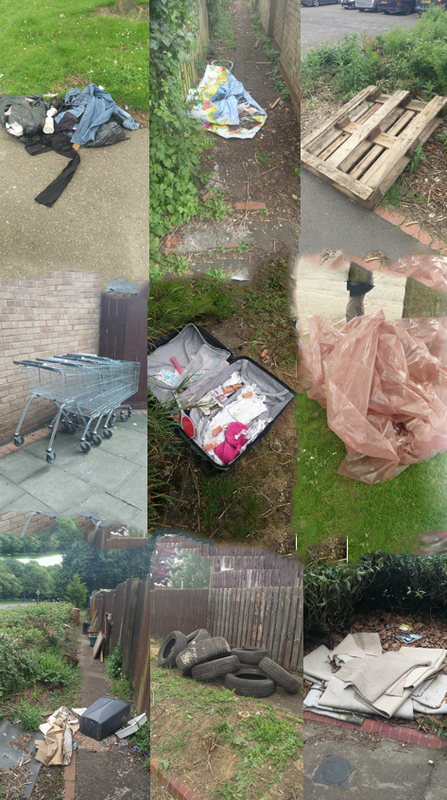 Many people who witness fly-tipping don't wish to inform on their neighbour or become involved in a criminal trial. 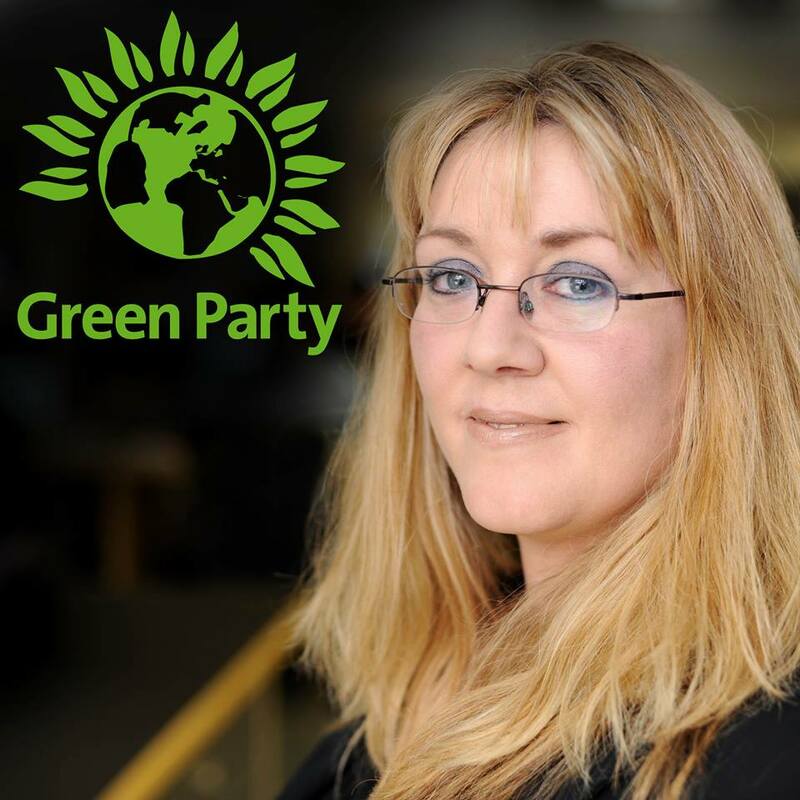 It is clear that the law needs to be changed so that it is much easier for the police, councils and the crime prosecution service to work together to see that people who fly-tip are apprehended and suitably punished.